1 passes to 3 and cuts behind 5. 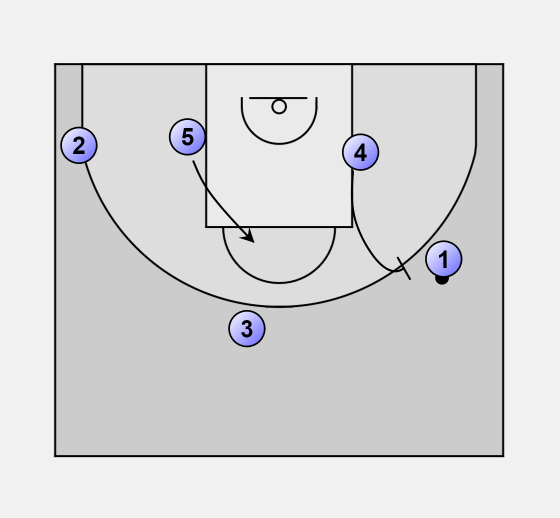 1 gets a staggered screen from 2 and 4 and goes to the forward position. After setting his screen 2 gets a screen from 4 and cuts to the other side. At the same time 3 dribbles to the top. Finally 5 goes high to make room. 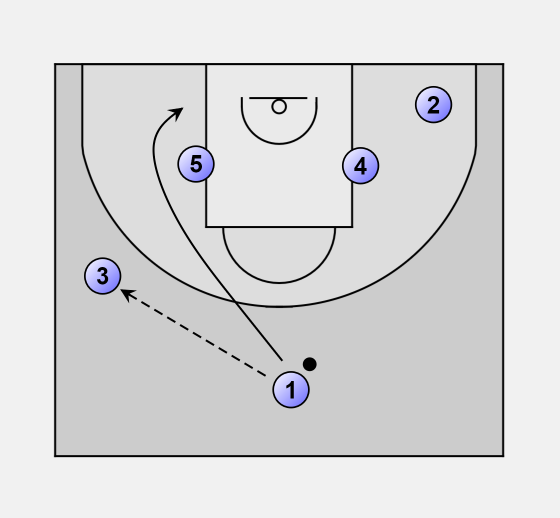 4 and 1 play a side pick and roll.